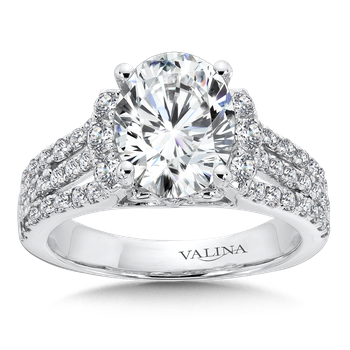 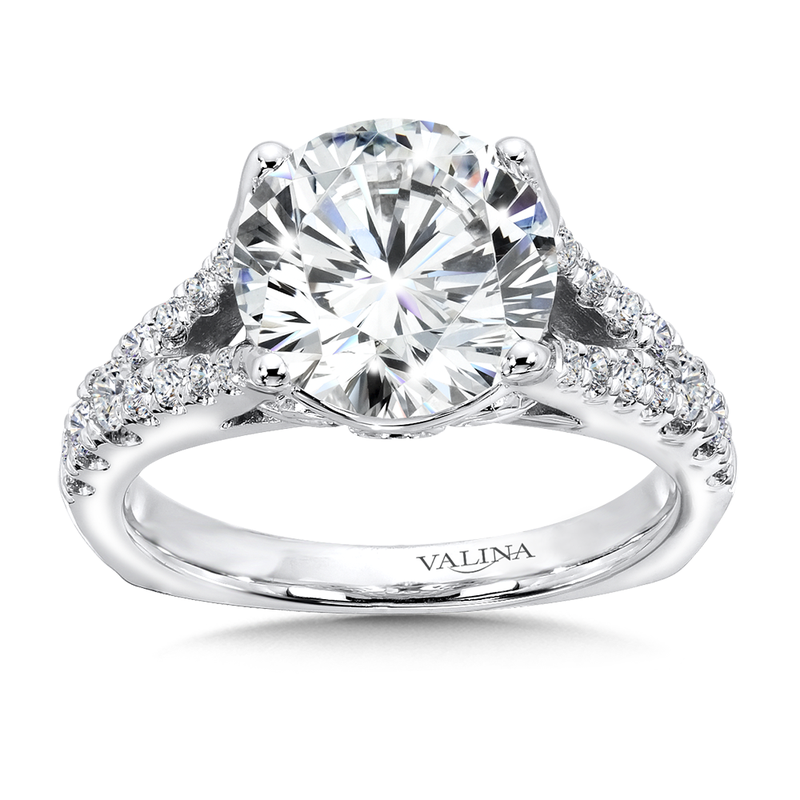 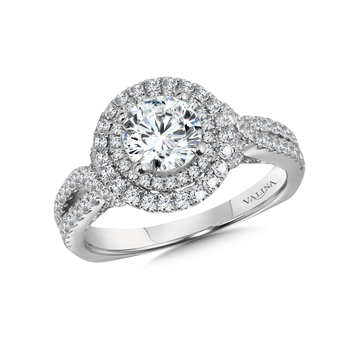 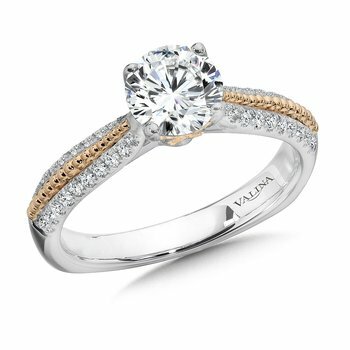 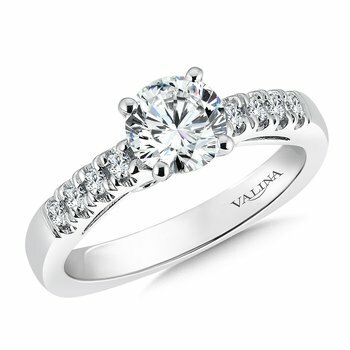 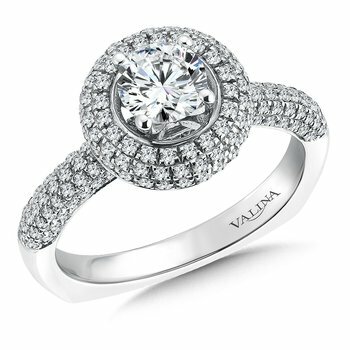 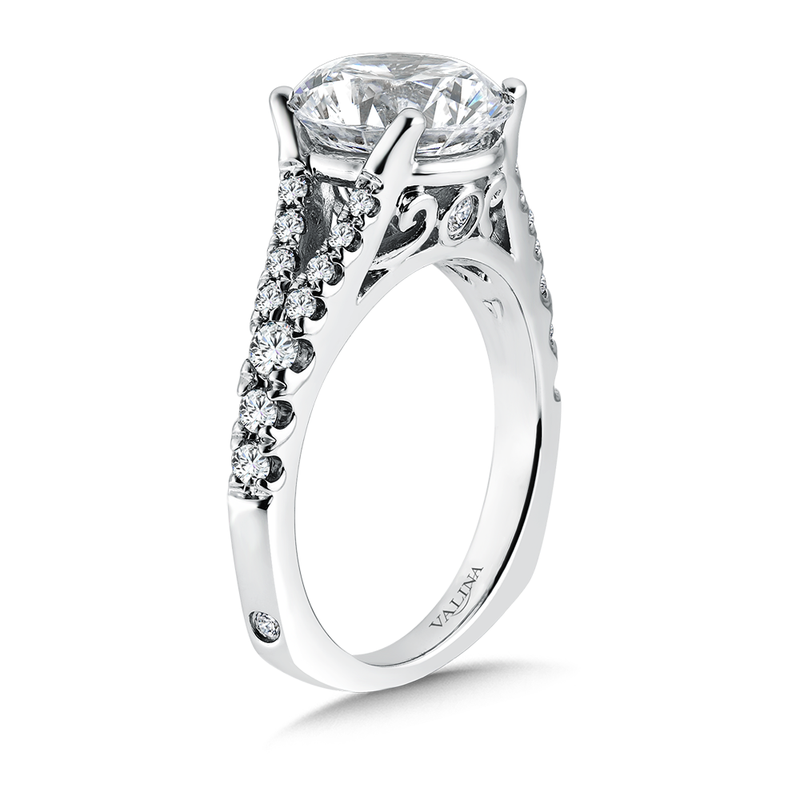 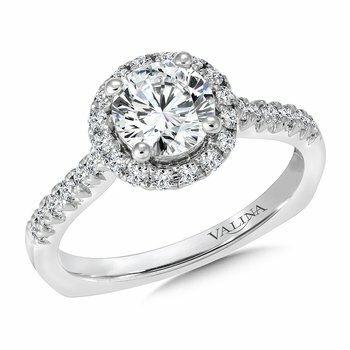 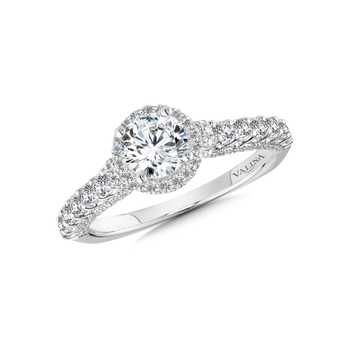 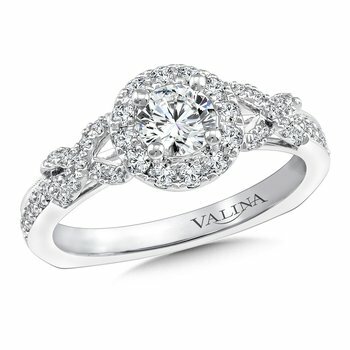 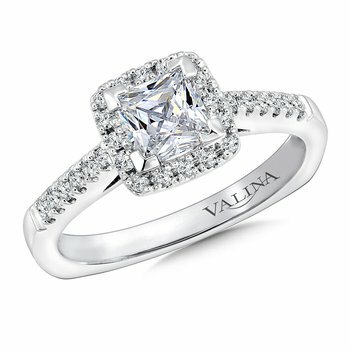 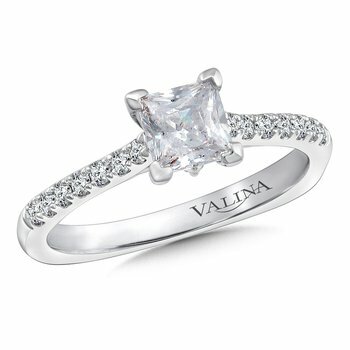 Diamond split shank support the round center stone accented with delicate 14k white gold detailing and secret diamond. 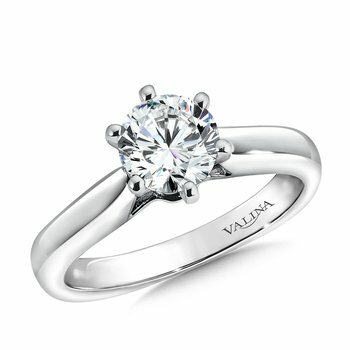 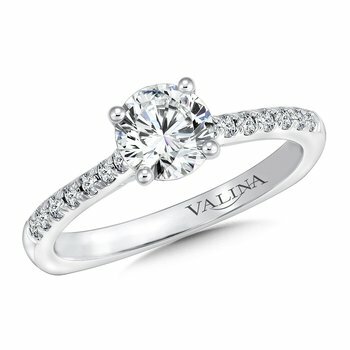 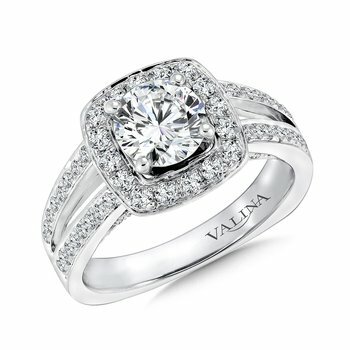 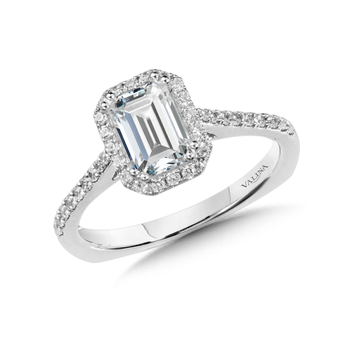 Center stone (3 3/4 ct. tw. 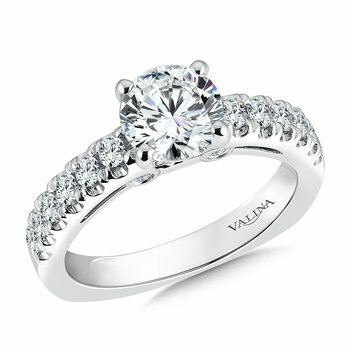 round) sold separately.